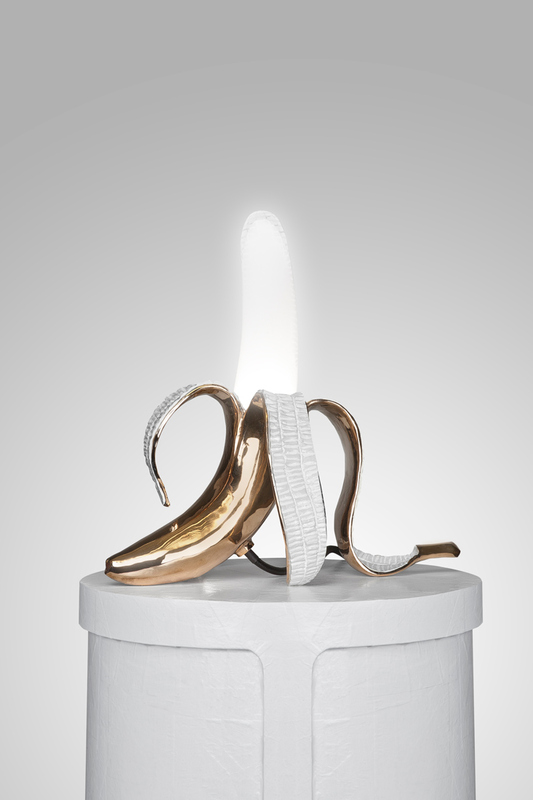 Studio Job's experimental duo has launched its solo exhibition: The Banana Show, at the Samuel Vanhoegaerden Gallery in Knokke, Belgium. 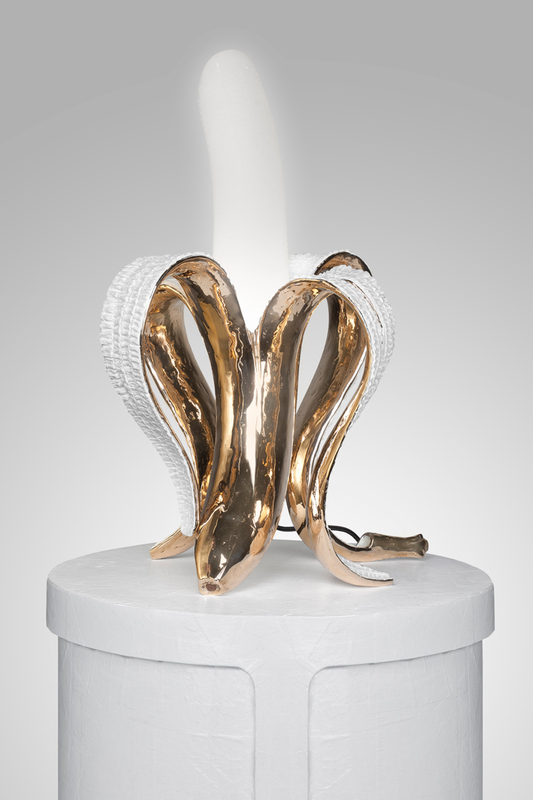 The display comprises of seven distinctive lamps in the shape of half-peeled bananas, glowing luminous from their polished bronze skins. 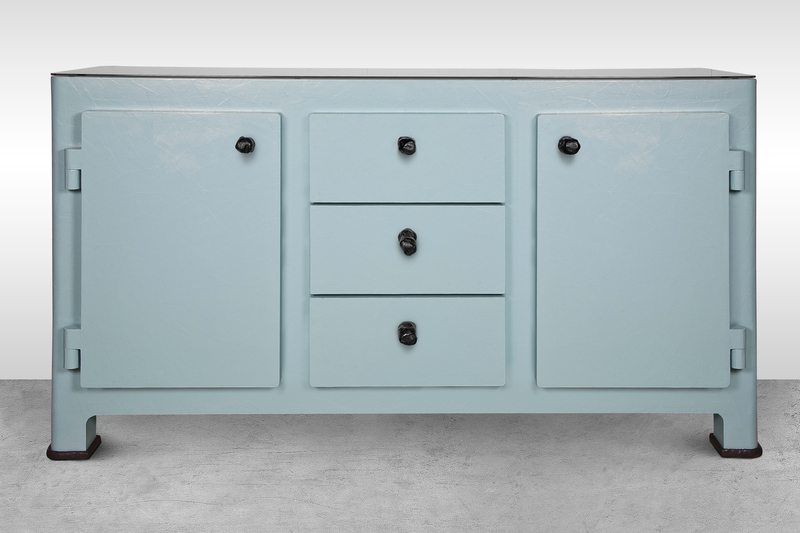 Founded by Job Smeets and Nynke Tynagel in 2000, the Belgium studio has an ethos of 'craftsmanship over quantity and extreme designs over middle-of-the-road concepts'. 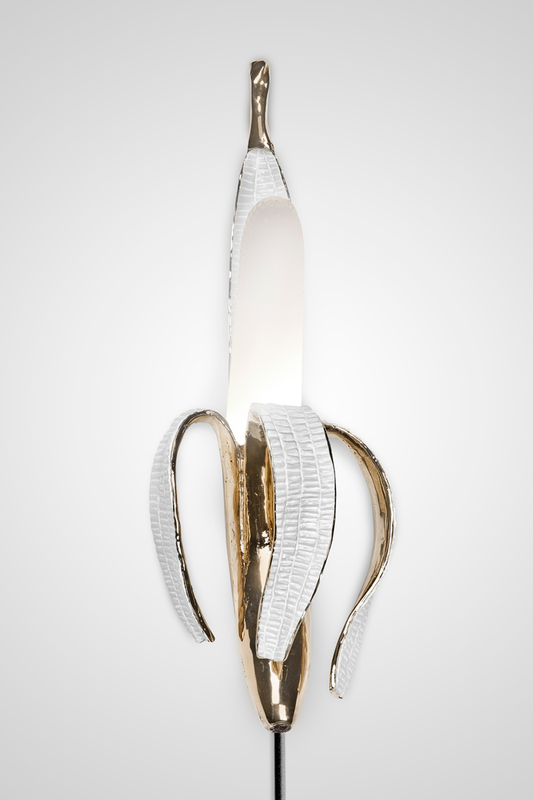 The Banana Show is a limited edition collection of five self-standing banana designs where the skin holds up the lamp in varying positions, a giant hanging banana wall light and an oversized lamp version. The lamps are all fitted with LED lights and use etched mouth blown glass. 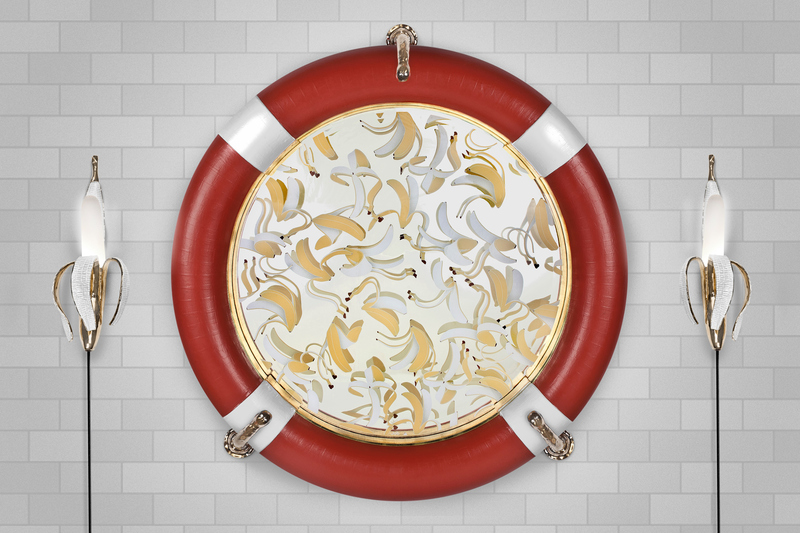 Additionally, the exhibition features the Buoy Mirror: a vibrant red lifebuoy containing a mirror of sintered glass and hand-painted bananas. The solo-exhibition corresponds with the launch of Smeets's book Desegnajoj, which highlights his work from 1998-2015. 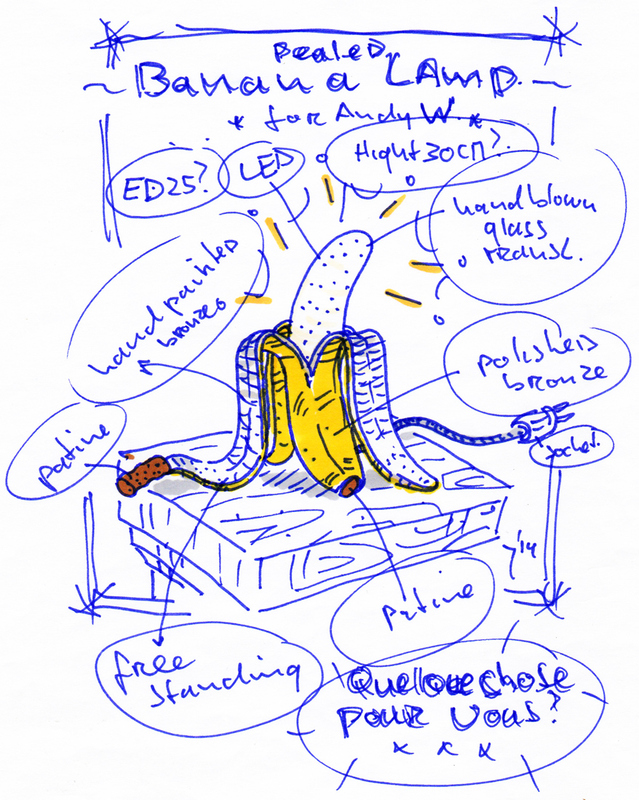 Supporting the Banana Lamps are ink banana drawings in oak frames and further drawings taken from Smeets's collection 1998-2005 throughout the gallery. 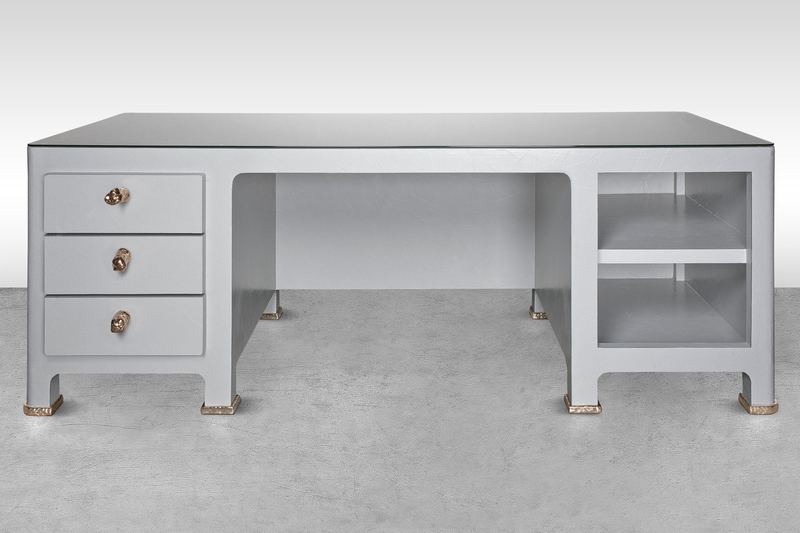 Studio Job are also displaying two one-off items - a wooden desk and sideboard - as part of its Paper collection. 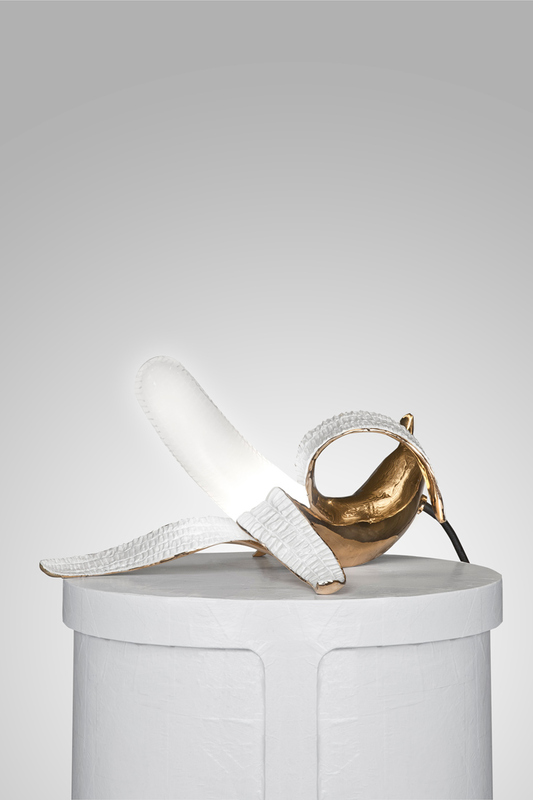 These unique pieces are crafted from papier mâché, coated with polyurethane and finished with polished bronze feet and handles. 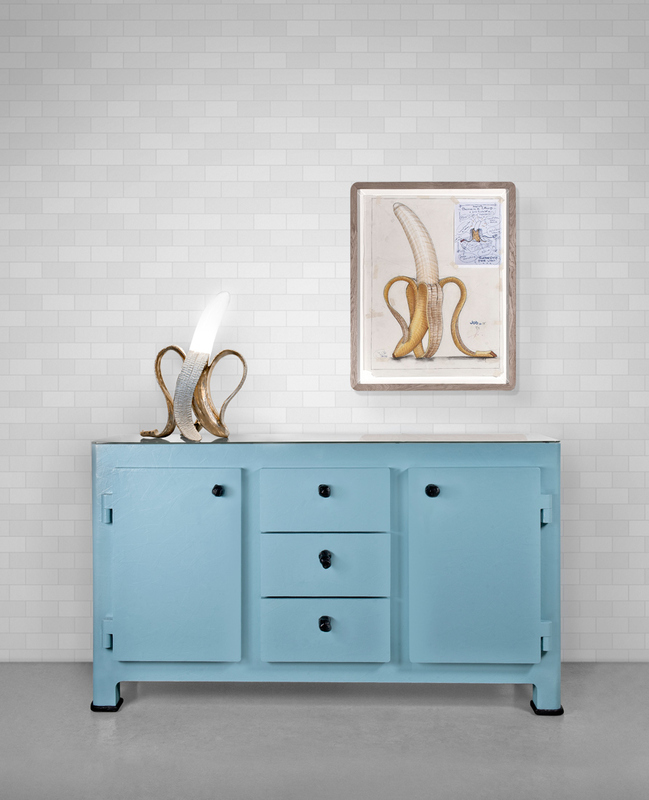 Beside Andy Warhol, The Banana Show also refers to American artist Keith Haring, who was an artist-in-residence in Knokke where the Samuel Vanhoegaerden Gallery is based. 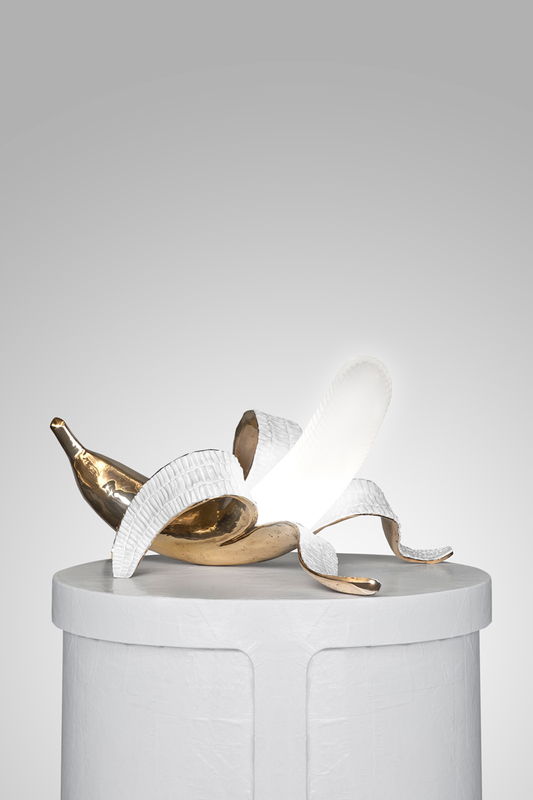 The Banana Show is open until 27 September 2015 at Samuel Vanhoegaerden Gallery Zeedijk 720, 8300 Knokke, Belgium.